I recently returned from a couple months working in Chile. 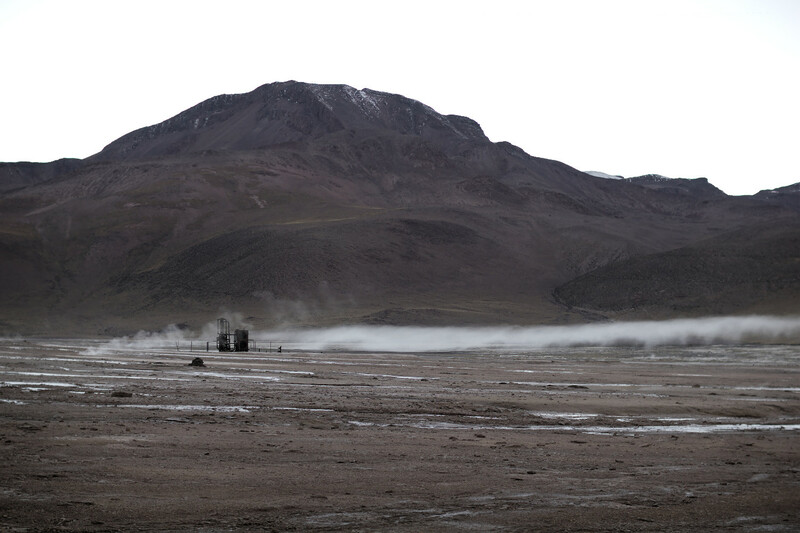 While there, I finally made it out to see the El Tatio geyser field, which is the third largest geyser field in the world. The geysers are around an 80 km, hour and a quarter drive north of San Pedro de Atacama and are normally seen just before sunrise. Some photos I took are below. The “category10” color palette, originally developed by Tableau, was adopted as the default color cycle for Matplotlib 2.0 and is also used by default by D3.js and Vega, along with other software packages. While more aesthetically pleasing than the old Matplotlib default, it is unfortunately not colorblind-friendly.1 In an effort to improve this and promote the development of colorblind-friendly color cycles for scientific visualization, I built a color cycle picker that incorporates color vision deficiency simulation and enforces a minimum perceptual distance between colors, for both normal and anomalous trichromats. This is accomplished by performing color vision deficiency simulations2 for various types of deficiencies and enforcing a minimum perceptual difference for the simulated colors using the CAM02-UCS3 perceptually uniform color space (each type of deficiency is treated separately). Additionally, a minimum lightness distance is enforced, for better grayscale printability. 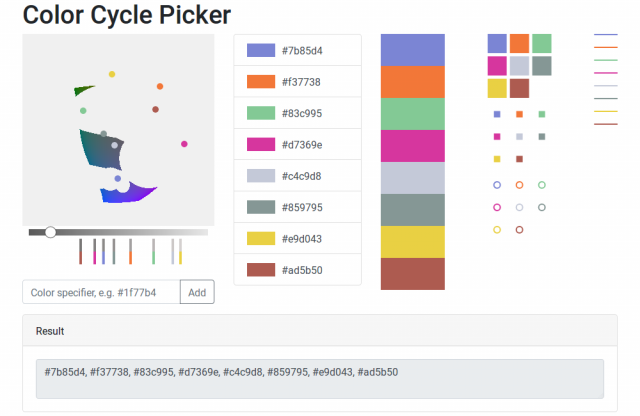 The tool allows colors to be picked from a visualization of the CAM02-UCS color gamut and assembled into a color cycle. This visualization is performed using hardware-accelerated WebGL to allow for real-time interactive adjustment of parameters; the resulting palette is also visualized. The minimum perceptual color distance, lightness distance, and color vision deficiency simulation parameters are all adjustable. A hosted copy is provided, and the code is available in a repository on GitHub. Amazon recently released the Echo Button, a Bluetooth Low Energy device designed for use with Echo devices (which I don’t own). Although it uses Bluetooth instead of Wi-Fi, I thought it might be a better device to repurpose than the Dash Button, due to its larger size and easily replaceable battery. Thus, I bought one to take apart.